NEW YORK – Negotiators for a United Nations declaration on tuberculosis, meeting intensively in New York this week, may have reached agreement today on a key sticking point related to intellectual property, innovation and access to new medicines, according to sources. 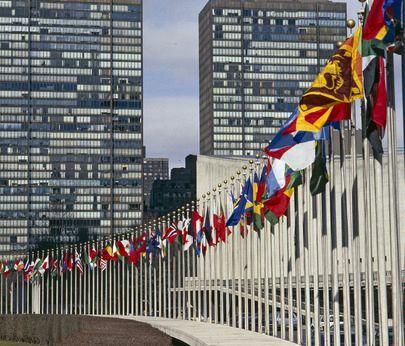 An agreement, if accepted by other delegations, could allow the text to proceed to the high-profile High-Level Meeting scheduled to take place at the UN General Assembly next month. Delegates from the United States and South Africa have been at odds over the draft UN Political Declaration on Tuberculosis, specifically over the removal by the US of language in the body of the text referring to the flexibilities for developing countries in the World Trade Organization Agreement on Trade-Related Aspects on Intellectual Property Rights (TRIPS). It would now be up to the two co-facilitators – the ambassadors from Japan and Antigua & Barbuda – of the process to draft the final language of the declaration and circulate it to member states. But it is likely that if South Africa and United States have an agreement, the co-facilitators may vet the language informally with key delegations, perhaps such the Group of 77 developing countries and the European Union. If it seems to be acceptable, they would then circulate it to all member states for approval. This is done in a “silence” period, after which if no member states objects, it is approved. A first silence period was held on a draft text in late July and was broken by South Africa, which reportedly felt the language on ensuring affordability of medicines had been overly weakened. TB is a major concern in South Africa, which has many low-income patients. The latest public draft declaration text was dated 20 July and is available here [pdf]. It does not contain a reference to TRIPS flexibilities in the operational section of the document, only in the introductory section. No details on today’s possible agreed language were available at press time, but it is understood that it would be the provision relating to affordable medicines and TRIPS flexibilities, and likely reflects a compromise. Separately, UN member states are negotiating for a second High-Level Meeting declaration, on non-communicable diseases (NCDs, such as cardiovascular diseases, diabetes or cancer). This document also has been held up over a similar provision referencing TRIPS flexibilities. Although the process is separate, a breakthrough on the TB declaration could be considered by negotiators on the NCD declaration. In that negotiation, the United States is negotiating with the G-77 as a whole, represented by Egypt, according to sources. The TRIPS references in both texts were drawn from a report on global health and foreign policy (doc A/Res/72/139) that was approved by the full UN. The High-Level Meeting on Tuberculosis is scheduled for 26 September, with the High-Level Meeting on NCDs on 27 September. High-level speakers addressing these events are expected to include Bill Gates at the TB meeting and Michael Bloomberg at the NCD meeting. "Negotiators On UN TB Resolution May Have A Deal" by Intellectual Property Watch is licensed under a Creative Commons Attribution-NonCommercial-ShareAlike 4.0 International License.